Zion National Park is known for many beautiful locations, but arguably, one of the most exciting and challenging is the Zion Narrows, a 16-mile slot canyon through which flows the Virgin River. The only way to walk this magnificent landscape is to hike through the river, and depending on the season, it can be bone-chillingly cold or a rather treacherous trek. After fighting the river for nine miles, the entrance was an especially beautiful site. 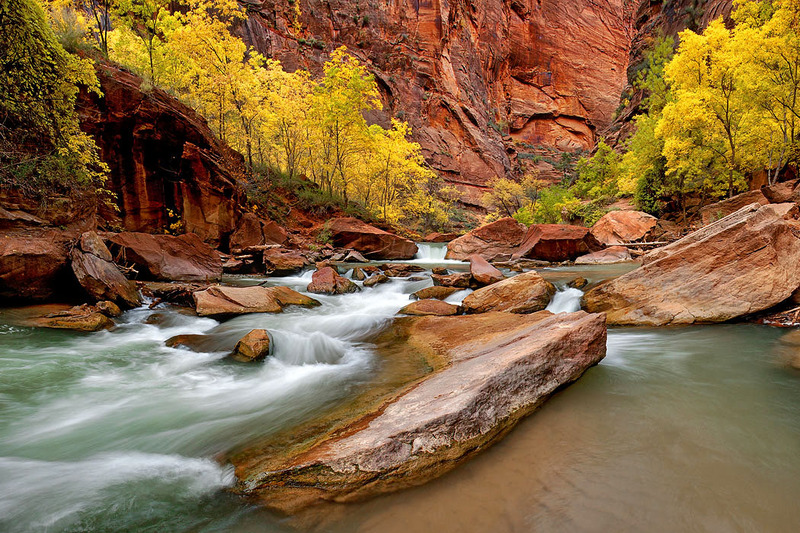 This photograph elegantly captures the entrance of the Narrows in fall, when the river waters are energized by the oncoming rush of changing seasons.